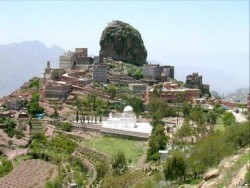 Hutaib InfoTech Solutions is a brand identified by the success of its solutions and its growth oriented approach, much like the Yemeni village of the same name. Similar to the lush greenery of “Hutayb” village, the company too evokes a sense of freshness and a bountiful and productive nature. The vast expanse of green fertile fields located in the Sana’a governorate of “Hutayb” is suggestive of the huge range of service, products and solutions we have successfully offered to our clients across a range of industry vertical. At the core of the logo is a depiction of CCTV. It serves a dual purpose. It not only showcases the product range of the company, but also offers a sense of reassurance and security in form of the CCTV camera. The orange shade depicts the calm blaze of the rising sun and highlights the company to be a growing entity that is geared to conquer newer territories in the industry and push boundaries. The tint of blue on the edge shows the gradual movement of time to first rays of dawn that emanates from the wide expanse of blue sky. 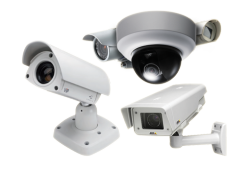 Hutaib InfoTech Solutions is one of the leading security and surveillance supply and solutions provider in and around the UAE and GCC countries. It is focused on providing the widest array for products to fulfill every type of need for security, safety and surveillance in both personal and professional domains.